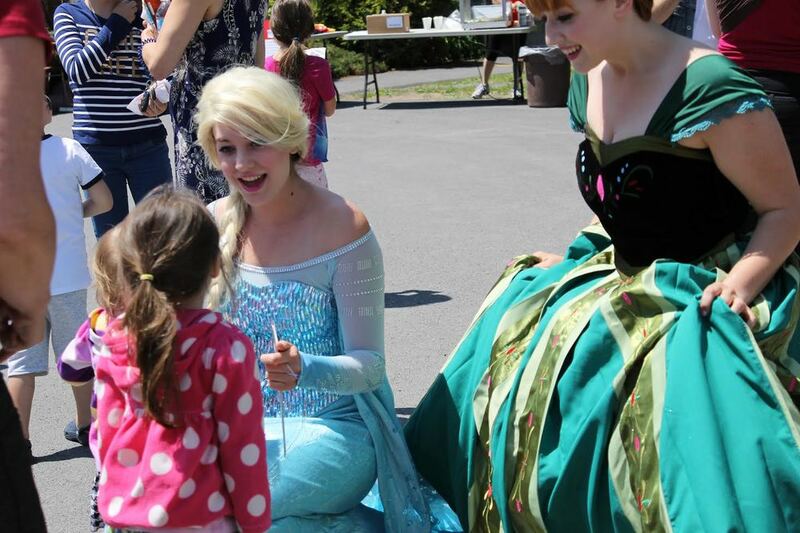 We had Winter Princess Anna (performer was Cait) attend our daughter’s 4th birthday party this afternoon and it was amazing! We first met Cait (and some of the other lovely princesses) at the PJ Party in January and my daughter constantly talked about having Anna come to her party. Holly was amazing and made sure that Kaley got to have Cait attend the party. It was seamless and easy booking with her. Cait arrived on time and didn’t break character at all in her hour with us. We only had half of the kids but she made each one feel special and included. Kaley was so happy with her and had a magical day...one she will continue to talk about for a long time. 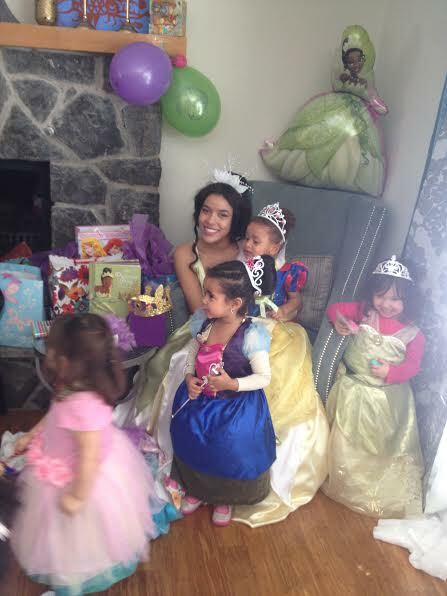 I would recommend Fairytale Princess Parties to anyone with little girls who love princesses. Thank you so much for coming through with a Frog Princess for Zoë. Princess Tiana was lovely, and Zoë and the rest of the royal subjects were thrilled that she came for a visit. 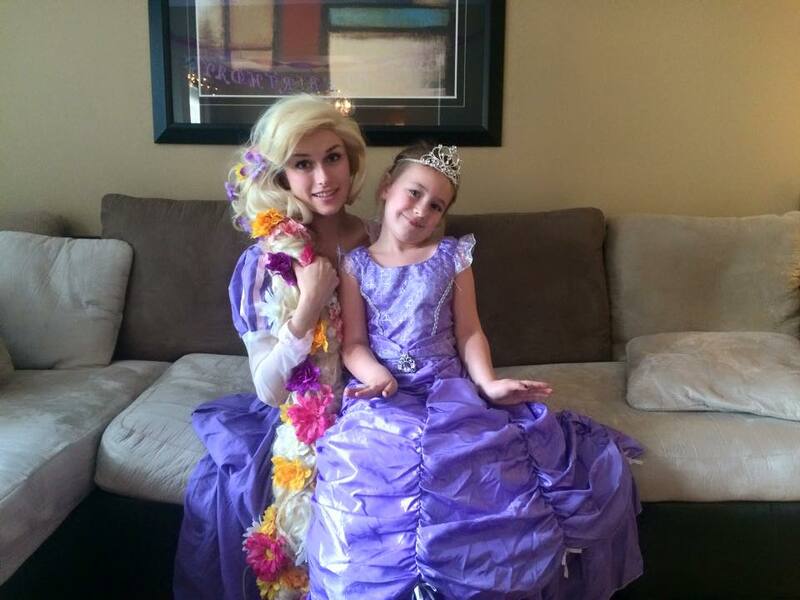 Everything went very smoothly and the princess and her maiden arrived on time and enchanted all of our guests. Princess Tiana was soft spoken, but well supported by her Royal Maiden, Kennedy, whom everyone was talking about too. 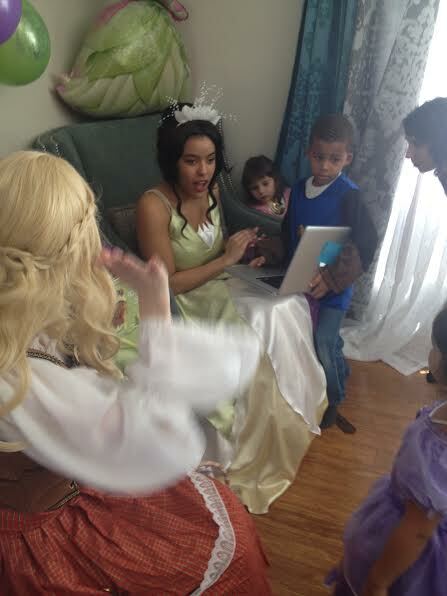 Kennedy did a fabulous job keeping the kids attention and encouraging the Princess to keep engaged with the kiddies. 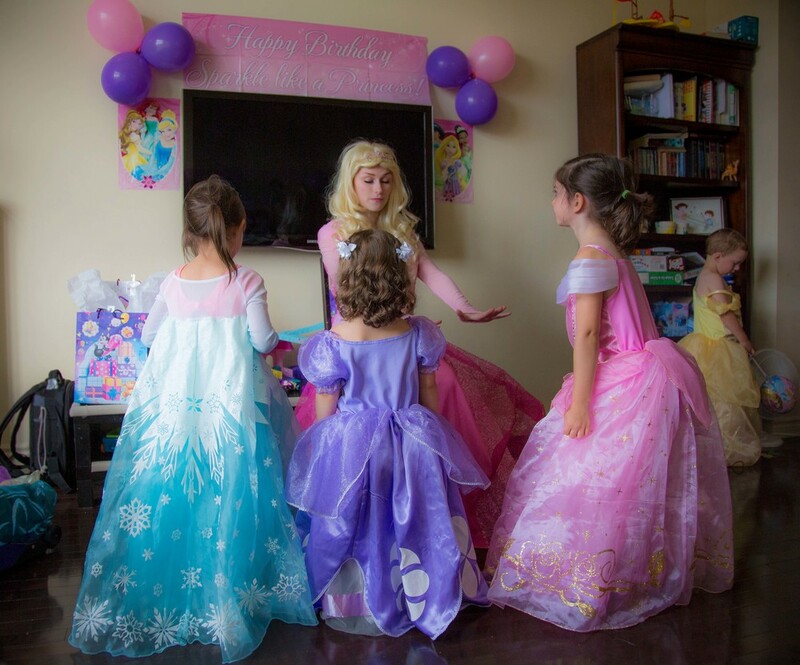 Doesn’t get better than Fairytale Princess Parties. Communication and booking was extremely easy and so professional! Always someone to answer my questions! I was worried at first as my daughter has been to Disney but Rapunzel was “the real princess”! She looked and played the part perfectly! She was soooo good with the Kids! 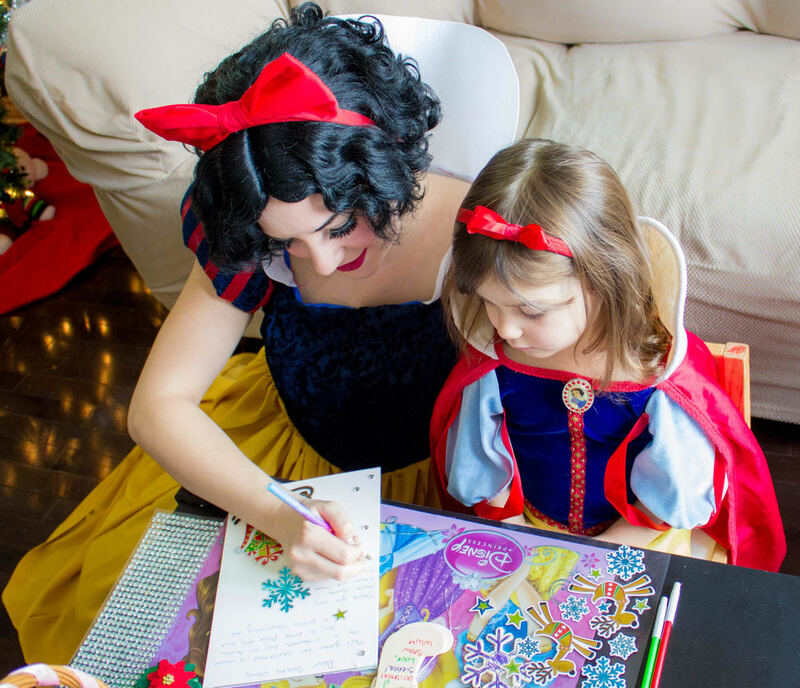 The princesses from Fairytale Princess are way more authentic than any other business! All of the kids said they really enjoyed it, and Erin & myself both said she was really good with staying in character the whole time. That we wouldn’t be able to do it. I just wanted to thank you for making Anna’s birthday so special! She and her friends had such a wonderful time with Cinderella. she said that its the best birthday she ever had and she can’t believe that she is now a real princess! Its so cute! Cinderella was wonderful! She looked beautiful and acted the part perfectly. We were very impressed with her professionalism and her dedication to the part. 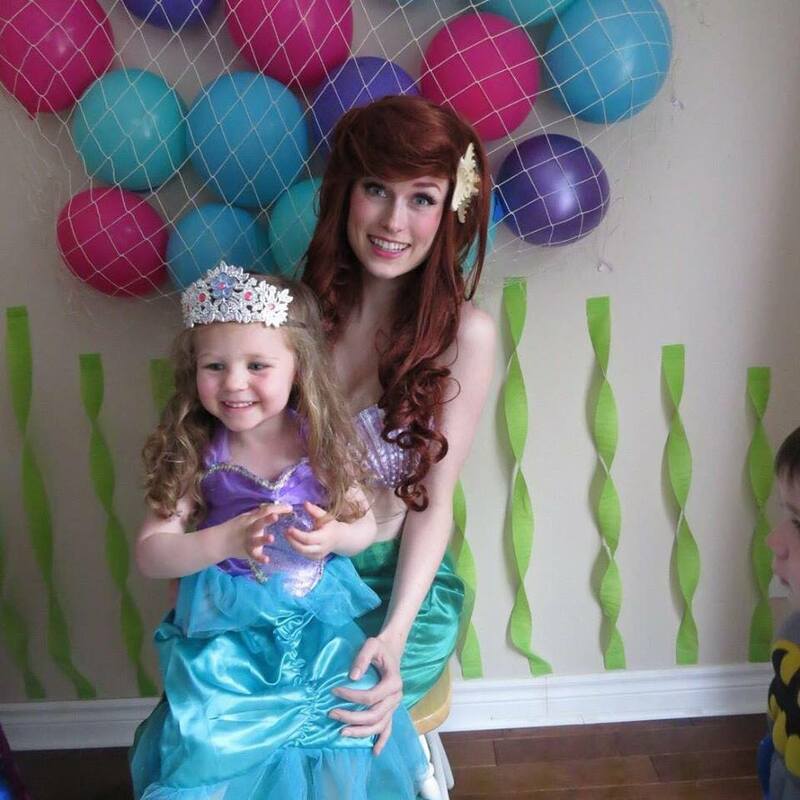 Hi Holly, Ariel did a fantastic job and Leah was over the moon to have her at her birthday! Had a party with us? Leave a review!